This is something I was working on that is similar to the WSRP Housing addon. It works with an offline database you can DL from a site (We messed with storing the data here somehow). You would DL the addon and DB separately. This way there is no need to push a new addon version for updates. The data would be output into an XML file and read into the game. 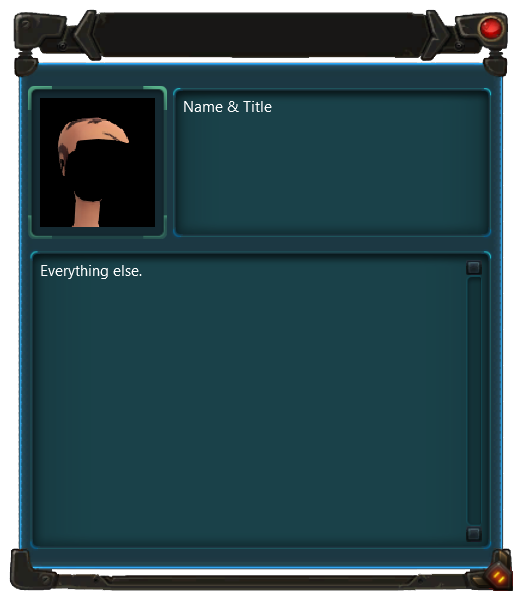 The addon would only use communications when it checked IC / OOC status. Unfortunately, I can't do this on my own. The addon is not hard. It's the web side of stuff that I need help with. We would need a backend that allows for entry and editing of info in the database, and a way to dump it to XML by server (and maybe faction) We'd also need a host for the DB. Here's some screenshots of what I have done so far. Nothing is currently working as this is just the addon front end. There would be a simple switch button for IC / OOC Status. FAST, no communications system need. XML data structure allows for other front ends or data extensions. Of all possible solutions, this one is my favorite. Sort of working in game shot. RP Button is moveable. I've been looking at how to deploy NodeJS-based webapps on Heroku for my work projects. There's a free tier that might work for testing, and after that it's a matter of paying for cycles if it's extremely popular. There are interesting "NoSQL" alternatives to the database side of things with corresponding libraries. From what I understand, the AddOn needs another program to pull the database XML file for it? Or can AddOns access web services directly (i.e. load an XML file from a URL)? A program or a web link that can DL to a specific spot. I'll make a new thread to see if we can pool our knowledge on building this system. If it was implemented correctly, it could share to multiple games and not be limited to Wildstar. The biggest issue I see is the running something else besides the game client. That raises my security hackles. There's a few precedents, WoWHead, WoWEcon and the like which mine player data and upload it. A lot of folks though won't (wisely, IMO) run such apps. Instead of a separate downloader set up a side addon on Curse to hold the data file. Set up a periodic task to check for any changes (add,update,delete) and push it if so. Should be easy enough to do if github release automation is enabled. Yah, the installing of an extra thing seems problematic. This is the kind of thing that makes me nervous too. I kind of like the idea of github release automation in conjunction with Curse. This is sort of what Toggle's Housing Addon does now I think? How would that handle multiple games/authors though? Would still need to be a trusted memberbase, or someone would have to handle pull requests. I'm not that familiar with the intricacies of repo management though, so I might be missing something obvious to everyone else. Thinking of git though, I wonder if there is some distributed differential data protocol that could be developed...it would be a nifty thing to try to implement. My original thought was you simply go to the site and click a download link to get the current data. The XML can be reloaded whenever a UI refresh happens (as long as the file exists on log in). This mean refreshing is just a web link away. Use for other game isn't advised. 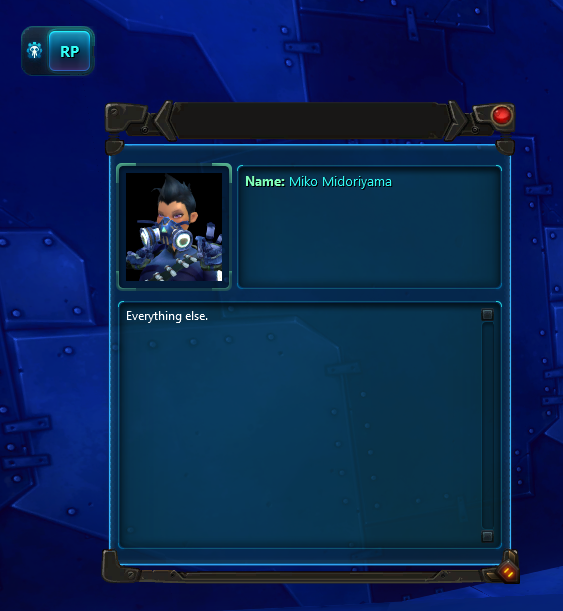 WIldstar is rare in allowing XML data to be loaded into Lua tables.